Twice a year, on Memorial Day and Veteran’s Day, the Memorial Day Writers Project provides a creative venue for veterans and their families, and those who have been touched by war. Day-long readings and performances take place, rain or shine, in a tent adjacent to the Vietnam Memorial (near Constitution Ave and 21st St NW). This year, the open mic project takes place from 11:30 a.m. to 5:00 p.m. on Monday, May 30. The Memorial Day Writers Project (MDWP) was founded in 1993 for Vietnam Veterans by Vietnam veterans Mike McDonell and Clyde Wray. All authors, poets, singers, and songwriters are invited to take part in this semiannual event and bring copies of their books, chapbooks, and CDs for sale at the MDWP tent. MDWP participants have also come together to read at veterans' gatherings, college campuses, churches, high schools, book stores, and libraries. For more info, go to http://www.memorialdaywritersproject.com or email dick_epstein@ hotmail.com. The prose, poetry and songs presented on their web site represent a sampling from their open mic venue on the Mall. The men and women represented there speak the truth, their truth, and offer a look inside veterans−your neighbors−the grey-haired man two houses away or the woman across the street. The following Author Anonymous poem has been "touched" by many hands, but these lines are some of the latest excerpts I found . . . Thank you to all who have served and are serving; deepest condolences to the families who lost heroes in the continuing struggle to keep this country safe and our freedoms intact. Memorial Day info you may not know . . .
Celebrations honoring Civil War heroes started the year after the war ended. The establishment of a public holiday was meant to unify the celebration as a national day of remembrance instead of a holiday celebrated separately by the Union and Confederate states. 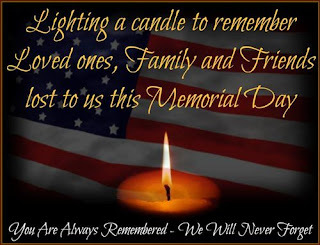 By the late 19th century, the holiday became known as Memorial Day and was expanded to include the deceased veterans of all the wars fought by American forces. 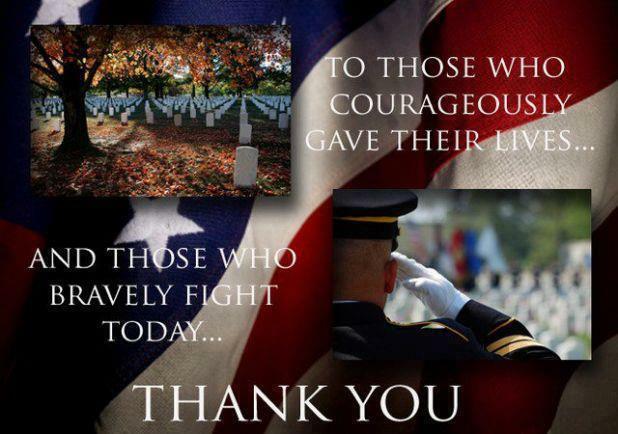 In 1971, Memorial Day became a federal holiday and was given the floating date of the last Monday in May. The original national celebration of Decoration Day took place on 30 May 1868. Be safe out there, friends, and have an enjoyable holiday, but please remember who and what we celebrate.